Be aware that this might be reset back to true by another user which haven't installed this QFE, or is running a non-CU2 VS/MTM. 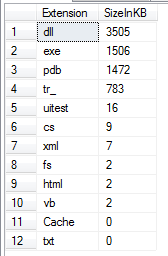 The "hanging ghost file” issue came up after one have run the TAC, and deleted enormous amount of data. 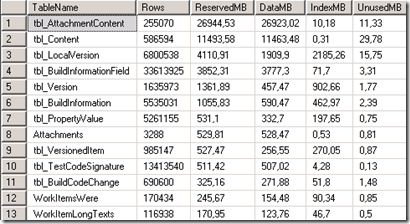 The SQL Server can get into this hanging state (without the QFE) in certain cases due to this. Perfect set of queries & to the point information. Thank you so much for this Terje. Very good info & it helped me a lot to nail down a lot of nagging issues. Matthew: Try to delete in smaller increments, that should make it work. If still issues, mail me. Thank you for sharing this. It has great information. Is there any update for TFS 2013? 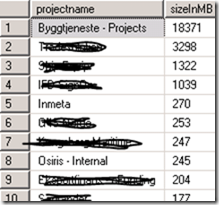 Problem: ‘delete attachment’ functionality of Team Foundation Server 2012 is not working adequately. After an attachment is deleted from a ‘Task’` it is still accessible using the generic deep-link. Impact: An attacker or malicious user with access to the Team Foundation Server 2012 environment might be able to access attachments that were previously deleted by using the deep-link to the attachment. Please note that the filename is created randomly` which reduces the chance of a successful guess. Can you recommend that this Test Attachment Cleaner job agent addresses the above penetration test finding. The Test Attachment Cleaner deletes test attachments, not work item attachments, so the TAC doesn't apply in this case. 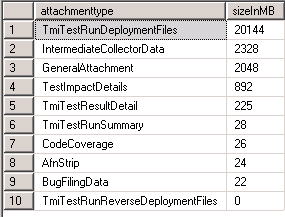 For work item attachments - if the attachment is deleted from the work item, it may stay in the database for a short while - but there is a background job that will delete orphan attachments after a period of time (approx 24 hours or so). Do you see it for more than that time period ? First of all, I want to thank you for this great and well explained blog. 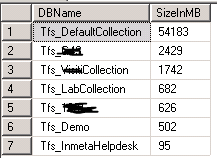 Second, you spoke in one of the comments that Work item attachments have another process to follow to clean the database, so, i wonder if you have any idea about how to do this in TFS 2013 ? 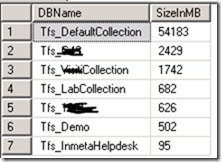 The process is the same in TFS 2013, so you don't need to do anything specifically. Note - the job cleans out ORPHANED attachements. 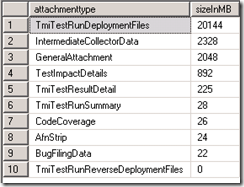 It appears that the schema has changed in TFS 2015. 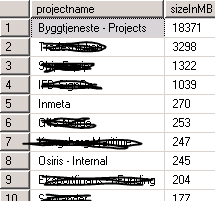 There is no longer a tbl_File table. 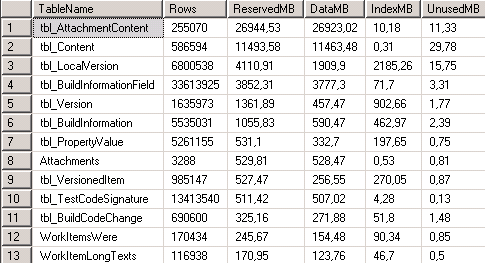 There are now tbl_FilePendingUpload, tbl_FileReference, and tbl_FileType.